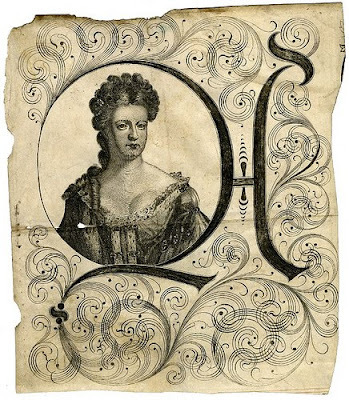 accidental mysteries: Portrait Calligraphy: Don’t Stop! Don’t Stop! 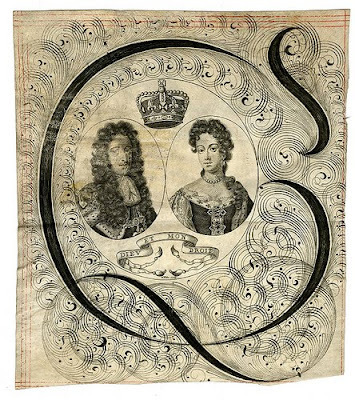 (Above) Bust portrait of William III and Mary in State robes. Click any image for a larger view. 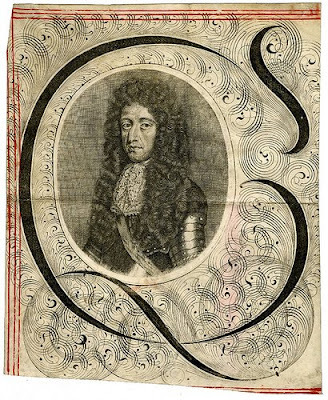 (Above) Bust portrait of William III in State robes. 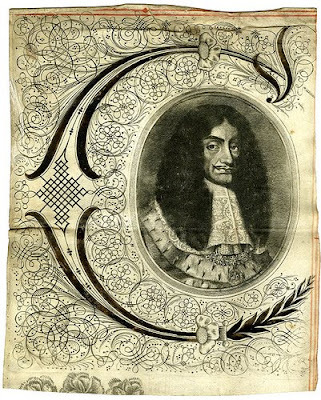 (Above) Bust portrait of Charles II in State robes. Click any image for a larger view. 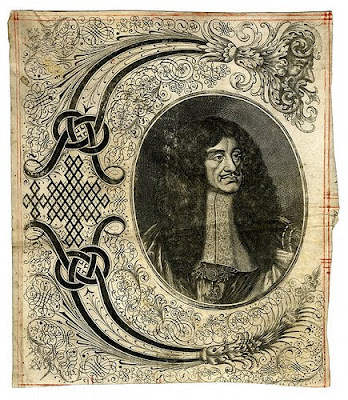 (Above) Bust portrait of Charles II in State robes. 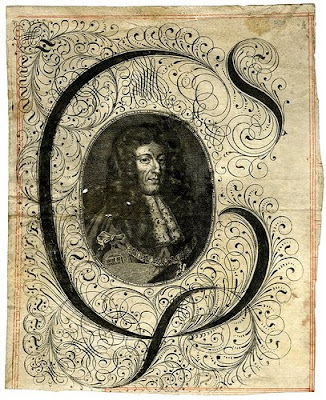 (Above) Portrait of Charles II in penmanship (Sneddon). (Above) Bust portrait of Queen Anne in State robes. Click any image for a larger view. (Above) Bust portrait of Queen Anne in State robes. 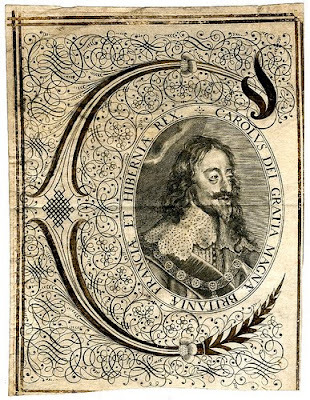 (Above) Bust portrait of Charles I in State robes. Click any image for a larger view. I FOUND THESE AMAZING CALLIGRAPHIC PORTRAITS on Peacay’s photostream on Flickr. 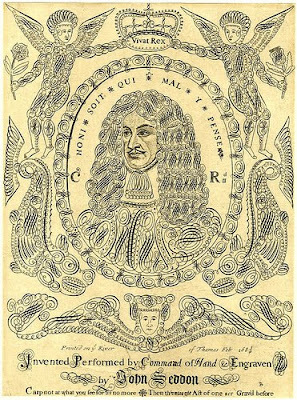 What I like about these is that when it came to Royalty, the engraver never knew when to stop. When engraving for the Royals, the more ornate the better. The practice not only guaranteed the engraver favor with the King, but kept him busy with more work. Oh my gosh, I want one!!! These are so amazing! Imagine the amount of time they took... just incredible. These are simply amazing John! Thanks for the post! Happy Holidays to you and Teenuh! 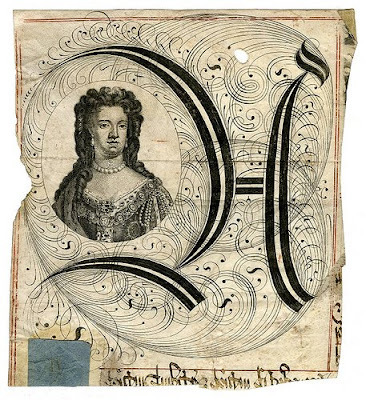 No wonder the royals loved all of the ornate calligraphy; it distracted from their not-so-attractive faces. But, these are simply amazing.